Check your inbox for a message from our Jobble Support Team.  After opening the email, please select "Begin Now" to start your Jobble Trust and Safety Check. 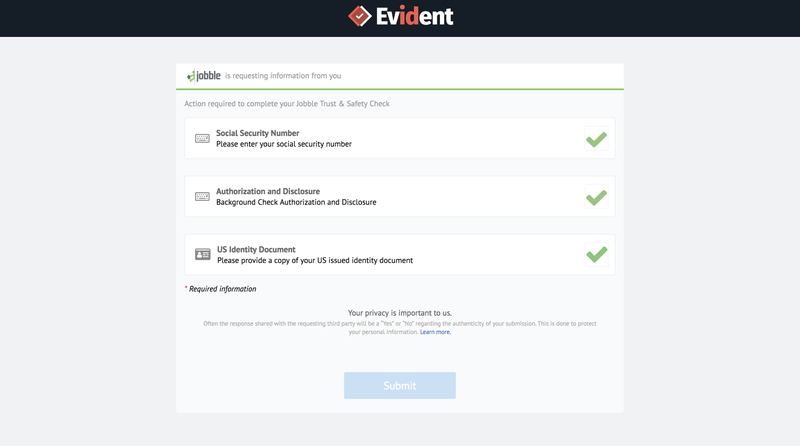 Once you've been redirected the information request form hosted by Evident, please enter your social security number, approve authorization of the background check, and provide a copy of your US issued identity document to submit the request. Please upload photos of the front of and back sides of your Driver's license on a dark surface. Upload photos directly from your desktop or enter your phone number to receive a text message with instructions to complete your upload on your mobile device. Once you've completed all three actions, please submit your background-check request. Note that it typically takes 48hrs to process your request. *Evident is an Identity Assurance Platform built to bring confidence to every identity and credential verification and is the most stringent security available. Experiencing difficulties? Contact Evident Support directly.